Ask The Trainers: What Is Your Best Low (or no) Cost Marketing Tactic? On the next Ask the Trainers I want to know what your favourite tactic is to market your bootcamps. No idea is too obvious or silly, let’s get some discussion going. Last month on Ask The Trainers I asked, How do you deal with late payments? For those of you who have problem clients who you are always having to chase up, have a read of how some other trainers deal with this. David Coulter uses pre-paying with the option of recurring direct debit. Don’t let them get outstanding. All payments in advance. Refunds are easy. They pay 4 weeks in advance for 1, 2 or 3 sessions a week. That is their commitment. If they miss a session, they can make it up by coming to an extra session in the next 4 weeks. It works from a business point of view as I know what I’m getting rain or shine, but it’s only a 4 week contract (sign-up on rolling direct debit) so the client has a motivatoin to ensure they get all their sessions in or else they paid for nothing. It’s worked really well for me. Dalfim Crouch also gets his clients to pay up front, but for just a small commitment of time. I usually have my clients pay 2-3 weeks in advance (depending on the number of sessions we do a week), then remind them on their last week when it’s time to top up. As far as they’re concern it’s 3 weeks of paid training which they don’t have to worry about. Jess Sampieri Griffin gets her clients to pay up-front for 12 or more sessions at a time. I think we are starting to see a recurring theme. Payment up front motivates your clients to come to their sessions and you have the piece of mind of knowing that they are all paid up. Stay on top of ‘forgetful’ payers buy sending reminder email and texts. Make it easy to pay by offering multiple payment options. Thanks so much to David, Dalfim and Jess for taking the time to share their methods. What is your favourite marketing trick? 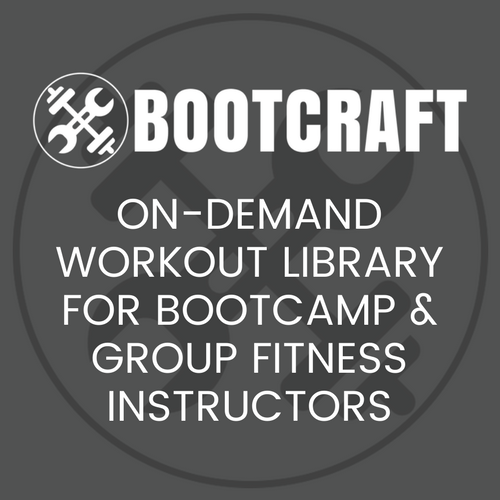 Share with us below how you fill your bootcamps, I’ll kick it off (just scroll down). I tend to focus on in house marketing most of the time. – Each round I send out an email to my list of current and ex-clients talking up the next bootcamp. I usually include a recipe or a workout so I’m not just spamming their email with junk. – If a client refers someone to us for a round of bootcamp we give the referrer a pair of movie tickets. Seeing as most of our clients are Mums and Dads they really appreciate the opportunity (excuse) to have a small night out. – Community notice boards. Our local libraries all have community notice boards that are quite well read. We can put up flyers on them for a month at a time with no cost.